The Missouri-Southern Iowa (MOSI) Art Guild named Jane Lovstuen as the MOSI Art Guild Celebrated Artist for April, 2018. 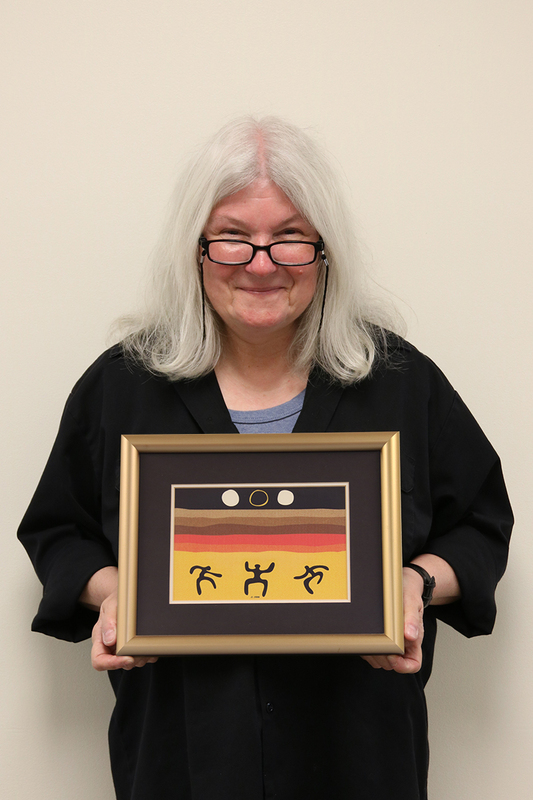 Her “Techno-glyph” digital print, inspired by ancient petroglyphs, is titled “The Moon Was Eaten By The Black – They Danced And Sang To Bring It Back.” This piece can be viewed in the window of Shelter Insurance on the square with other MOSI members’ artwork. This entry was posted in Celebrated Artists. Bookmark the permalink.